Trailblazer Heritage Lensatic Compass | BUDK.com - Knives & Swords At The Lowest Prices! Find your way in the wilderness the way your grandfather did - before GPS. With no batteries to die, satellites links to sever or electronics to damage, the Heritage Lensatic Compass from Trailblazer is an indispensable part of any outdoor gear, bug-out bag or emergency supply list. Anyone who spends time in back country - hikers, hunters, preppers and more - should have at least one! An added bonus - it looks amazing! 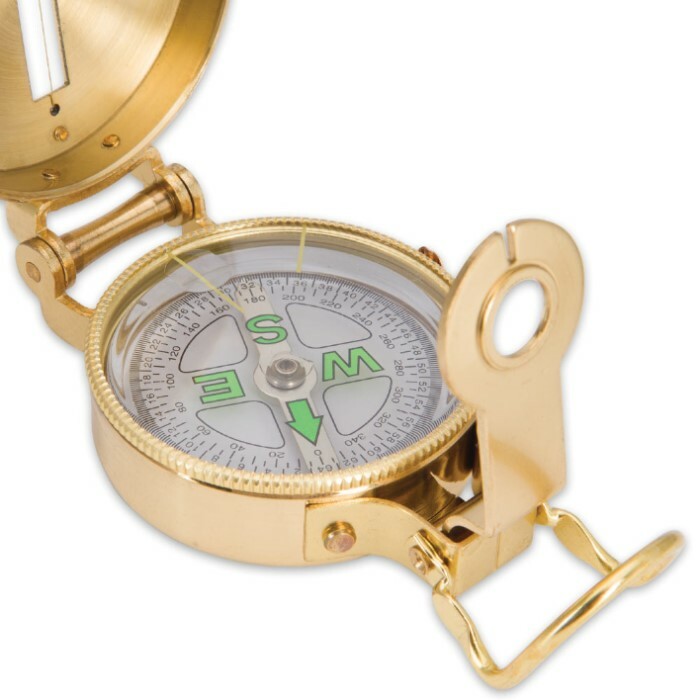 The gleaming, shock resistant brass case and classic hardware give the Heritage Compass a cool vintage style; Trailblazer pairs this with advanced, modern features to yield a truly first rate lensatic compass. It boasts extraordinary accuracy, thanks in part to the liquid interior and precision alignment. An adjustable lens affords dependable sighting, and luminous directional letters and clear bearing markers make readings easy to see, even in low light. And with its compact, folding design, the Heritage Compass fits easily in pants pockets, a backpack or wherever you stow your gear. Come what may - natural disaster, blackouts, even Armageddon itself - you can always rely on the trusty, low tech but high functioning Trailblazer Heritage Lensatic Compass. It also looks great in military and/or historical collections! This compass is well made and very solid feeling in hand. I use a compass quite a bit, and prefer it to GPS for certain applications. This one does not have a declination adjustment and does not have a straight edge, but for basic navigation it will more than suffice. 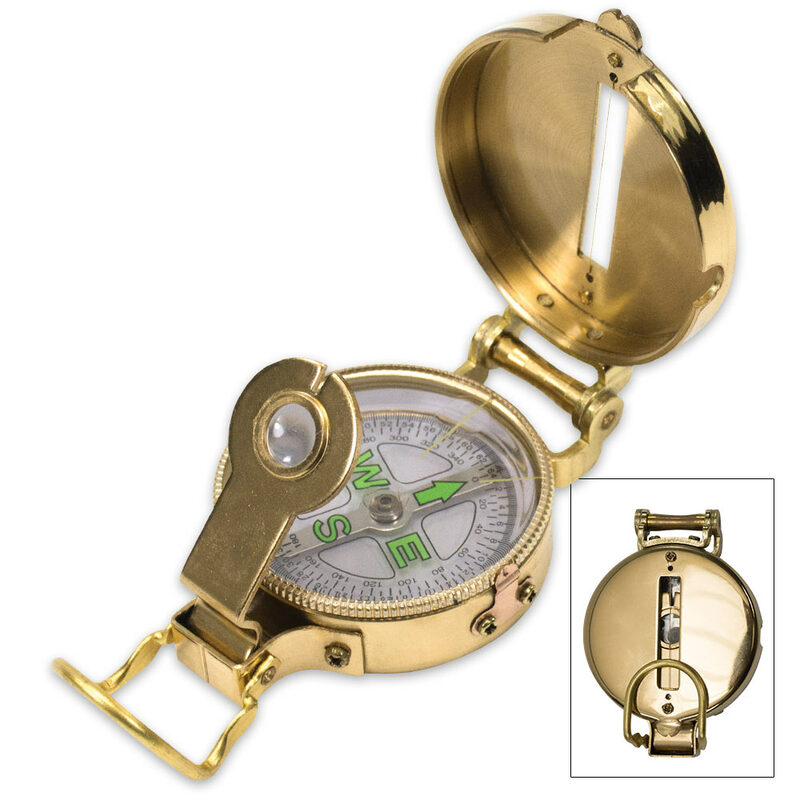 The body of the compass is brass and the lens is plastic with a plastic bezel, but with care, it should last a lifetime. 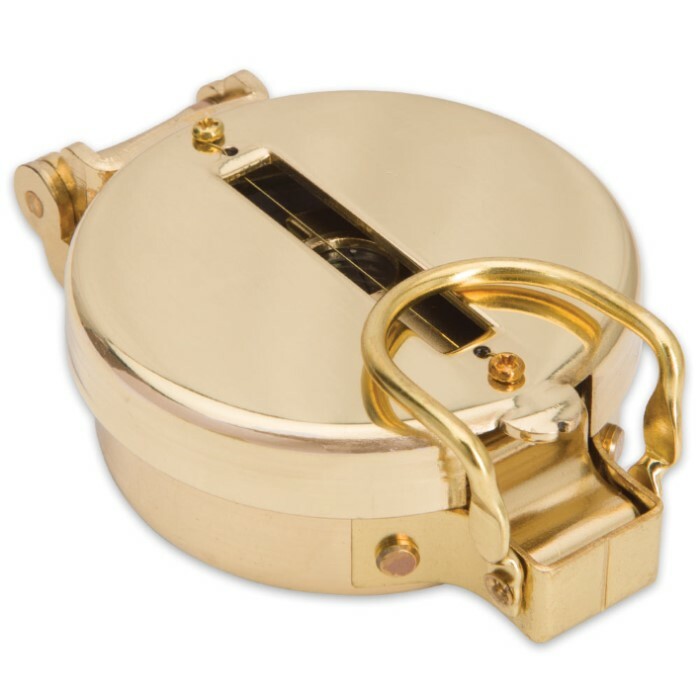 I am very pleased with it and everyone should have at least one compass, know how to use it, and carry it everywhere. This looks like it will hold up well. May order another.